Canada has been a paradise for Indians to invest, work, study and seek multiple other opportunities. 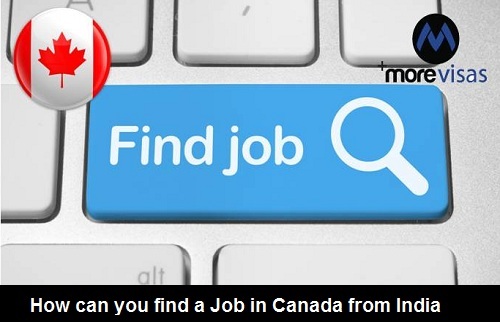 Likewise, India and Canada share a share the same wavelength in trade and cultural domains.To apply for a job in Canada certain criteria matching the suitable job profile in Canada needs to coveted which can make your Canada Visa petition come your way easily. The Express Entry draw grants Visa permissions to an applicant who has been found fulfilling the criteria for Canada immigration. The employers & firms prefer candidates who are already present in Canada. They have either completed the Canada Immigration process or have found a suitable job offer pertaining to any Province/territory. A candidate should secure well in language speaking and writing ability to check the proficiency level of the candidate which is evaluated through IELTS -International English Language Testing System. For Quebec, even the French language proficiency is taken into account. Prepare a resume which showcases your efficacy which will be a key qualifier in getting you your desired job role. Display Information about your profile made in express Entry which is an online point based Immigration system which will allocate certain points to the candidate based on its profile where details mentioned about education, language score, work experience etc are the key highlights for the applicant’s selection. The IRCC-Immigration Refugee citizenship of Canada, EOI-Expression of Interest and Express Entry-(SINP/PNP) are all programs under which a candidate’s application for a specific Job Role can be accepted to any Province of Canada. An ITA can be issued to a candidate for Canada PR application process based on its current job position or any investment made by the candidate to any developmental activities. Correct job agency should be chosen to apply for suitable work profile, trade or any business venture to be taken up for the futuristic stay of the candidate in Canada. 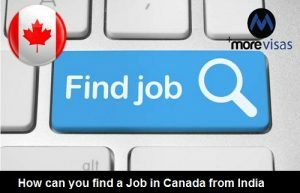 You can get assistance to search your specific demand while looking out for a job in Canada by registering yourself invalid job portals, websites, federal services programs in Canada and other Canada Immigration Programs. Also, the candidate should keep reading blogs and job postings which are displayed on various Visa consultancy websites as they benchmark and give proper statistics about the current job scenario.